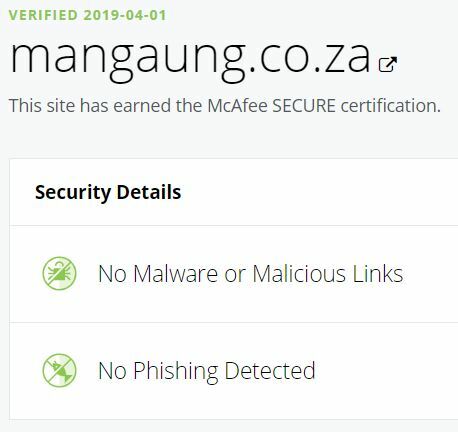 Mangaung Metropolitan Municipality would like to appeal to its customers who paid their municipal accounts via internet or have made payments at the bank without writing their proper municipal account numbers starting with 100 … as a reference, to come forward for the municipality to do allocations. Proof of such payments must be provided so that the municipality can do the correct allocation. 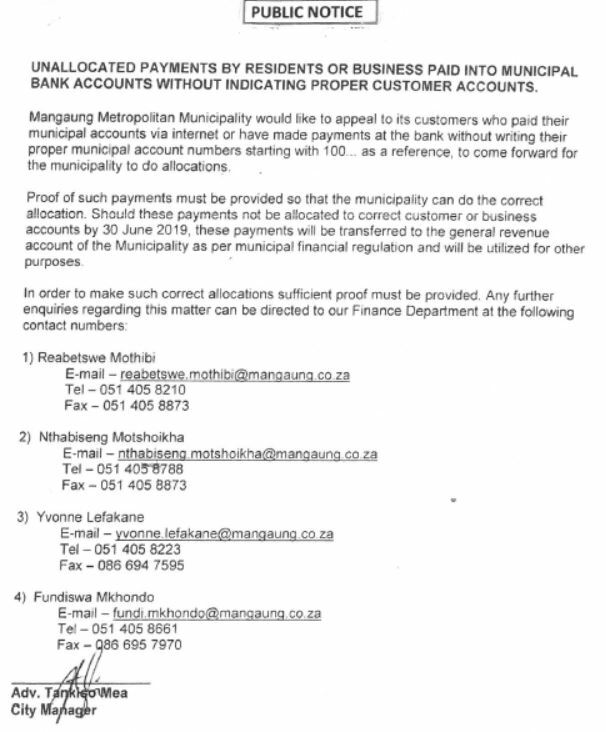 Should these payments not be allocated to correct customer or business accounts by 30 June 2019, these payments will be transferred to the general revenue account of the Municipality as per municipal financial regulation and will be utilized for other purposes.